More than 1,500 public swimming pool facilities in Ventura County are inspected annually by staff from the Environmental Health Division. Public pool facilities include swimming pools, spas, wading pools, and interactive water features located in condominiums, home owner associations, hotels, apartment buildings, parks, schools, gyms, community centers, therapy pools or any pool that serves more than three families. Click Here for List Of Pool Closures Need To File A Complaint? Annual inspections of public pools are conducted to ensure that the water quality and safety standards are maintained when the pools are open for use. During an inspection, inspectors test the water chemistry to verify that it is within the required ranges and ensure all safety equipment and signs are posted. The deck, pool structure, recirculation equipment, pool enclosure and gates, pool records, and restrooms are also inspected to ensure all components are maintained clean, sanitary, in good condition, and are operable. If a public pool does not meet minimum safety or water chemistry standards, the pool may be closed until compliance is achieved, and a re-inspection is conducted by Division staff. Plans and equipment specifications of proposed public pools are evaluated by an Environmental Health Division staff specialist prior to construction of the pool to ensure that all public pools will be constructed in compliance with minimum construction and safety standards. 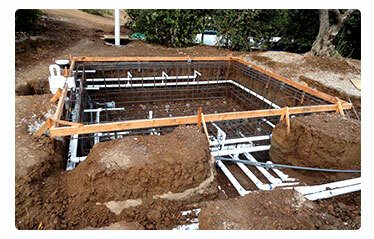 Inspections are conducted at each phase of construction to verify full compliance prior to the completion of the pool. Complaints about poorly managed pools or reports of illness related to public swimming pool facilities are also investigated as part of this program. To file a complaint, please click here or call 805/654-2813. If you have any questions about the operation or construction of a public swimming pool, please contact us via email on a link below or call 805 654-2813.